The office staff are very friendly and ready to help, Ashley is the best. I couldn't give 5 stars coz I have a bit of a problem with parking especially at night, other than that, everything is great so far. Maintenance supervisor Mingo is friendliest person, he does his job, this complex is far the best maintenance I have seen. The office staff a nice, this apartment is the best one I've lived in and I've been here for 3 years now. The apartments are nice and spacious for the size. I’ve had no issues with any lights or water. Parking spacing is also very good and well lit parking spots at night. I’ve been living here for about a week. It really is quite, very clean apartments when we came look at it. Very nice employees. Very kind on helping us with washer and dryer. I’ve only been here for a week but so far the staff have been very respectful. Very quiet community so far. All of my issues have been addressed same day so far as well. Only wish I would have signed a longer lease at this point. The office people are nice. Been living here for 3 years now haven't had any problem. The supervisor maintenance guy is nice and friendly all the time. So far this is the longest apartment I've stayed at since moving up here in 2014. It’s been good. Good neighbors and great service from the office and maintenance people. The grounds are kept well and well maintained. The maintenance staff are very polite and seem to know what they are doing repairs. The community is very quiet. I enjoy living here because the location is very convenient. Also, the office staff was very friendly and helpful when I walked in requesting information about the apartments. My overall experience has been great! Apartments are nice inside. Parking is a mess. Hard to get ahold of anyone in the office by phone. Only amenity is a pool. Close to a lot of places though. Very quiet neighborhood. Nice to live here. Parking places are plentiful. Very strict on abide by the company policies. Quick to fix thi gsp, as long as you put in work order. The make ready of the apartment was disappointing. There is paint dropped onto the wood floors in the kitchen and bathroom . Makes it look messy. There is paint on the fixtures in the bathroom. The kitchen light bulbs didn’t work when I moved in, I’ve called and left 3 messages for them to come exchange the bulbs but they have not. The toilet handle is broke which causes the toilet to constantly run . I’ve called regarding that as well no word back . I had guys in my apartment working my ac from sometime during work hours until we’ll after 9 pm with notice to me or my fiancé. Work orders won’t get done until they feel like it even if you have to take the top off of your toilet to flush it every time or unscrew your light bulb just to turn off the closet light. The office staff is great though. It’s ok, a lot of stuff in the apartment has paint all over it from when they re painted, the door looks like some cut our main lock out with a saw, we have a short list of things that really need to be attended to which I wrote down the day we moved in which still haven’t been fixed. The neighborhood is ok, people let their dogs poop everywhere so you get that smell. There is a lot of trash on the ground but lol I feel like that’s everywhere in Midland. I don’t really feel 100% safe here. Especially because our door is loose. But it’s in a good location and the front staff are really sweet and nice girls I give them 5 stars. Dogs feaces everywhere! When you come watch you step. Every Monday morning there is people to cut grass wich is never grows just make noises and that's all! Been really living here for the past years really looking to another year. Been really great and hospitable place is really well taken care of. It's nice and peaceful here. The pool is kept nice and clean. The staff is friendly. I have had no problems since I've been here. It's been really quiet. Going to be 2 years when we release in Dec. Only lived in two apartments and this one is so far the best. Prices might be going up due to oil boom but maintenance is good, especially the supervisor. He is friendly and understanding. 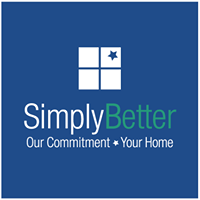 Really nice staff and when I call they always answer, the apartments are big and worth the price my son loves it here, if I need something done they fix it. The apartments are for the most part pretty quiet. Haven’t run into many issues since living here but when I have the office staff and maintenance have been extremely helpful. Great maintenance staff! I know because they had to come to my apartment often because owners took a year to replace AC. Less than 24 hour notice for pest control is frustrating for someone with a day job.